Automobili Lamborghini S.p.A. may add an SUV to its three-car range rather than the four-door sedan that had been on the drawing board. The final decision, which is expected by year end, may be swayed by the brand's desire to grow in China and Russia, where big SUVs are popular. Gallardo: A redesign of the sports car is scheduled for 2013 or 2014. The new version will use a new Volkswagen Group architecture. In the meantime, Lamborghini continues to update the Gallardo with special editions and increased horsepower. Sesto Elemento: Only 20 of the carbon-fiber supercars that debuted at the 2010 Paris auto show will be produced. The sports car is based on the Gallardo platform and will use the Gallardo's 5.2-liter V-10 engine, suspension and brakes. The Sesto Elemento will be priced at up to 2 million euros. Deliveries will start in 2013. Aventador LP700-4: The two-passenger coupe, powered by a 6.5-liter V-12 engine with 700 hp, replaced the Murcielago earlier this year. The Aventador costs 255,000 euros. The United States will get 30 percent of the 800 units produced annually. 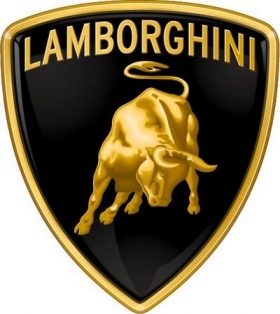 SUV or sedan: Lamborghini is considering either a sedan based on the Estoque concept or perhaps an SUV. Either vehicle would share an architecture with VW Group vehicles. The addition to the lineup likely would debut in 2016. VW, Audi product planners think big, not small, for U.S.